Art Nouveau architecture. Retro chic personality. Located near the most popular tourist attractions. As large as a suite. Plus 4 star comfort. I have regular business trips to Bucharest, and for 5 years, Cismigiu hotel has become" my second home ", which I certainly will not change! I liked the building, cleanliness, minimalist and functional design, but especially team members. I appreciate the warm welcome, the professionalism, and the constant concern of the leadership to ensure our well-being. 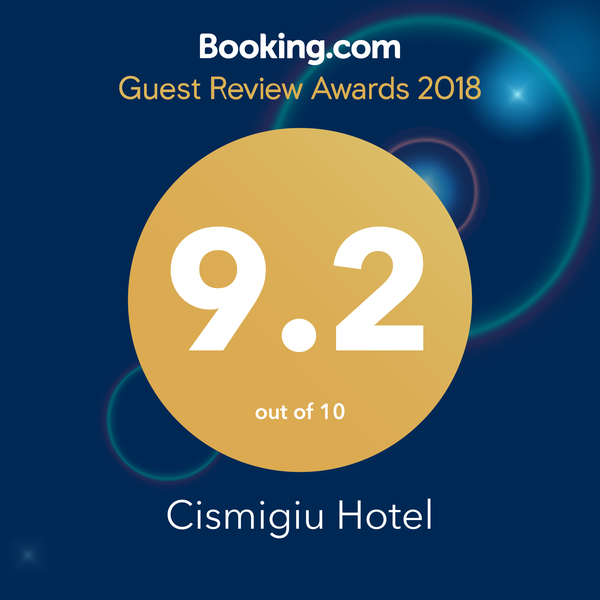 I recommend the Cismigiu Hotel to all who want to spend an authentic stay in Bucharest. Autumn in Bucharest - I recently spent five nights at this hotel. My experience of the hotel is most positive: excellent location, very nice rooms, clean, friendly stuff... I'm happy to recommend the hotel to anyone spending time in Bucharest. Spacious rooms, very comfortable beds, and great breakfast with a view! We had a great stay. Fantastic original (?) Exterior and super fresh and spacious rooms. The top floor bar had a very nice view and the breakfast was good. Enjoy your morning coffee with a view on Elisabeta Boulevard, a sort of local Broadway in the 1900s. Relax in Cismigiu Gardens, the most romantic park in the city, two centuries old. Have fun in the most popular places in the city, right near the Old Town Bucharest.